Ours was low-key and involved some pool time, which was so nice after the rainy 4th of July weekend prior! It also involved some exciting news that can be seen on my Instagram here...more to come on that next week! 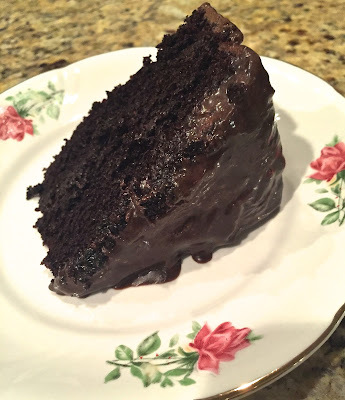 Today I am excited to be sharing a decadent dessert recipe with you: Triple Chocolate Cake. 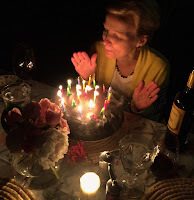 A recipe that was so rich and delicious that we actually made it two weekends in a row, for both of our mom's birthdays! Where does the "Triple" chocolate come in, you may ask? First in the trifecta is the moist cake itself, second is the rich chocolate mousse filling, and third is the chocolate ganache icing poured on warm! 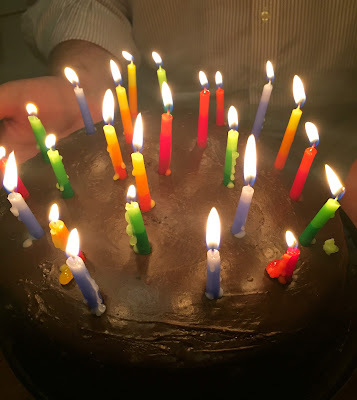 We knew it would make the perfect birthday cake for my chocaholic mom, and being that it was so good, we made it again the next weekend for Bryce's mom as mentioned above! Before sharing the recipe, I will warn that this recipe is time intensive, but it is served refrigerated and therefore can be prepared ahead. Make sure to carve out about two hours start to finish, before refrigerating the completed cake. Heat oven to 350F and grease and flour two 9" round baking pans. In a large bowl, mix sugar, flour, cocoa powder, baking powder, baking soda and salt. Add eggs, milk, oil, and vanilla, beating on medium speed for two minutes. Stir in the boiling water. Pour the (very thin) batter into cake pans. Bake for about 30-35 minutes, until a toothpick inserted into the center comes out clean. Let cake cool in pans for 10 minutes, and then remove from pans, allowing to cool completely on wire racks. While the cakes bake and cool, you can prepare and refrigerate the chocolate mousse filling (recipe below). Place the first cake layer on your cake serving plate. Place a big dollop of mousse on the center and spread, filling the top. Repeat with remaining layers, adding the mousse filling between each of the four layers. While the cake refrigerates, you can prepare the chocolate ganache icing (recipe below). Add the cocoa powder to the hot water, stirring until the powder has dissolved. In a double-boiler, melt the chocolate chips just until smooth. Add the cocoa powder mixture to the melted chocolate chips, stirring well to combine. In a separate bowl, beat the heavy cream and sugar until stiff peaks form. Combine the melted chocolate mixture and whipped cream, folding with a spatula. In a medium saucepan, add milk, cocoa powder, and butter. Bring to a boil and remove from heat. Add confectioners sugar and beat with an electric mixer to remove lumps. Let cool for 1-2 minutes. Pour icing on cake. You can see that both of our beautiful mamas enjoyed it! And last, but not least, I can't resist sharing a photo of the tablescape I created on our patio for Bryce's mom's birthday! What are your go-to dessert recipes for special occasions? Have you celebrated any family birthdays recently? 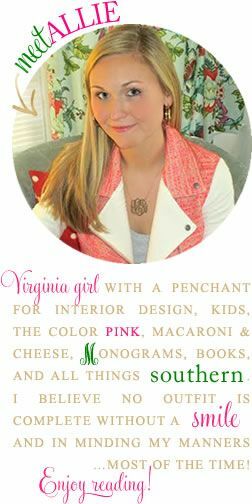 PS: Have you entered my Southern Proper Summer Fun giveaway yet? If not, check out the post here! Sounds delicious! I've brought the hubs over the the dark (chocolate) side finally so I'll have to bake this for him!! This look ridiculously delicious! Yum! This looks HEAVENLY! Definitely pinning for later, my chocoholic Mom would love this too! That cake looks beyond delicious! 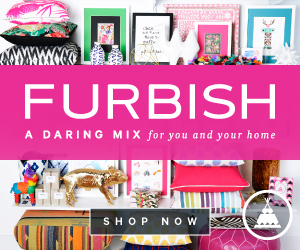 Love your tablescape, too!